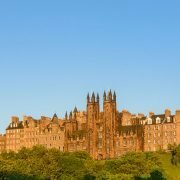 Below are the top tips, when it comes to choosing an Edinburgh web design company, to create a website for your business. Obviously price is critical. In order to get an accurate price it is important to provide a detailed brief. This helps the web design company determine how much work is required. Also if any additional software or plugins are needed. Each website is priced according to the amount of work required and the technical difficulty of the project. Our price for a typical brochure website is £890. However, some larger Edinburgh web design companies will charge many times this for essentially the same result. When looking at the price, ask yourself: am I essentially paying for a fancy office and a project manager? Look at a web designer’s portfolio. This will give you a good indication of whether the Edinburgh web design company creates nice websites. Sometimes the web designers’ style just matches what you want. We provide a sample of recent work covering a diverse range of website styles. Make up your own mind. Check out any reviews for a web design company. Make sure previous customers have been happy. If there a lot of poor reviews, you need ask yourself whether it is worthwhile instructing that company. We pride ourselves on our work and consequently have lots of great reviews from satisfied customers. A lot of web designers will say thanks and goodbye. If you are in business for the long term, you need ongoing support from your web design company. Websites are constantly needing updated and edited. Its therefore essential you continue to have a working relationship with your web designer to ensure the website continues to operate effectively. We provide ongoing support, maintenance and hosting for all our clients, as we want your website to continue working as it was originally designed to. We want your business to succeed online! Knowledge and experience in web design is important. If a web design company has limited knowledge of web design skills and little experience, this can lead to problems further down the line. For example, an inexperienced web designer may underquote for a project and be forced to increase prices halfway through a build. We’ve been there, done that. We have been in business for over 15 years and we’ve learnt from our mistakes and know what works and what doesn’t. Can I work with this Company?